But are all haughty and arrogant materialists correct on their dismissive assertions about God? Are there truly no evidences for God, specifically the miracle-making God of Scripture? Before the question can be properly pondered and addressed, we must question what materialists imply by evidences. If you point to biblical prophecies coming to pass, such as dozens that detail the birth and life of Christ (centuries before they were fulfilled), you will quickly learn that they do not trust your source. Hence, your evidences do not count because they are not derived from an ancient pagan scribe, Greco-Roman historians, or written within a scientific journal. The Bible, which is actually a small library of over five dozen books (in the Protestant canon), assembled over fifteen centuries, does not qualify according to their terms. And even if some of the prophecies appear to have fulfillment, they were only self-fulfilling via the Jewish religious fanatics of the distant past who purposely performed them. Moreover, Christians cannot “win” with people who do not fully know nor comprehend the Bible, for they mock it and dismiss it while postulating that it is composed of ancient fairy tales and deceitful myths. In the same way, a Christian can dismiss results recorded in any science journal by asserting that the secular source is untrusted. Although materialists would likely reply that they can validate their conclusions via demonstrations that render corporeal results, a Christian could be just as obstinate by alleging some slight-of-hand magic trick and schemes that merely manipulate those materialists who already believe as the experimenters do. In short, people will believe whatever they want to believe and dismiss whatever they want to dismiss. As Christians, we can only argue our case. 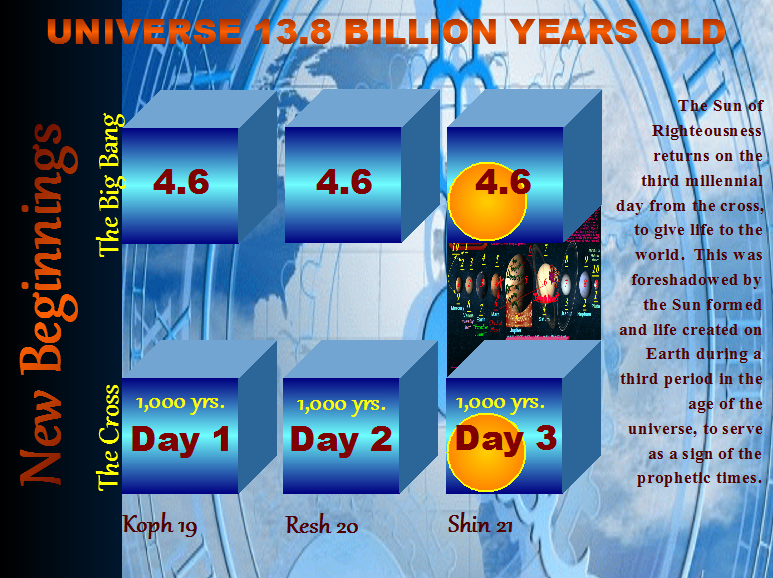 We can no more go back millennia to garnish empirical evidences from prophets and apostles for our worldview than materialists can go back to prove an abiogenesis (i.e., “chemical evolution”) event some 3.6 billion years ago. Although it has never been observed in nature nor duplicated in laboratory experiments (engineered with intelligence), for them an abject materialism origin of life (material determinism) must be true. For them, Darwin must be hiding in the geological gaps with all his missing transitional fossils, such as immediately before the Cambrian Explosion of phyla with new and diverse body plans. For them, we are stubborn and obstinate and ignorant for not buying their evolutionary stories of how species evolved in their niches to account for the diverse biosphere that we witness today. Moreover, Christians can never win the argument of God’s existence and interventions in our world with biblical history. As Christians, we believe that all of nature witnesses to the brilliance of God, be that brilliance displayed in the informational code of DNA/RNA or simply in the laws of nature that harmoniously enable the abundance of awe-inspiring lifeforms. But no amount of lecturing from the Bible will bring them around to acknowledging the Creator in their own areas of interest. For thousands, and perhaps millions, of Bible-believers, God has already confessed Himself in visions, dreams, words, and/or miraculous circumstance within their lives. Yet the materialist, upon hearing of such a case, would immediately suggest insanity and a visit to mental health professionals. After all, mental experience– the meaning of experimental research- only counts when they experience something through their own experimenting. If they have not experienced it as we have, and they cannot reproduce it their labs, then it cannot count for more than deceit, insanity, or some other phenomena of nature that can be explained under the auspices of the materialism paradigm. After all, don’t scientifically-minded people already know everything that there is to know about life, Earth, and the universe? There is no room for such peculiar things that do not fit within the restrictive construct that they have imposed upon the rest of us. Simple as that. The orthodoxy has spoken. Having written all that, the truth is that God confesses Himself and His works with a completely different paradigm. There can never be enough brilliance found in nature and biological systems for atheists and agnostics to confess a Designer and Creator. Thus, God has unveiled His works for those who are willing to search them out under the guidance of the Holy Spirit, to discern them via prophetic parables, biblical symbolism, messianic similitudes, types and shadows, and patterns that correlate biblical history with His panoramic plan of human redemption through time. Indeed, He works on a completely different level than those who are blind to what He’s already confessed in nature. Those who discern this know that the Bible is not composed of alienable stories that were fitted haphazardly together but to show the genealogy of Christ and the history of the Hebrew people; those stories were orchestrated by God like a great work of art, divided into puzzle pieces- pieces that must be put together in one’s mind in order to perceive the panoramic picture. Every article that I have thus far scribed fits within that greater paradigm- the Moedim Paradigm. In fact, I can take any book or story or parable from Scripture and show its messianic place within the construct, just as I wrote on every chapter of Revelation to confess its timely framework for Bible readers. 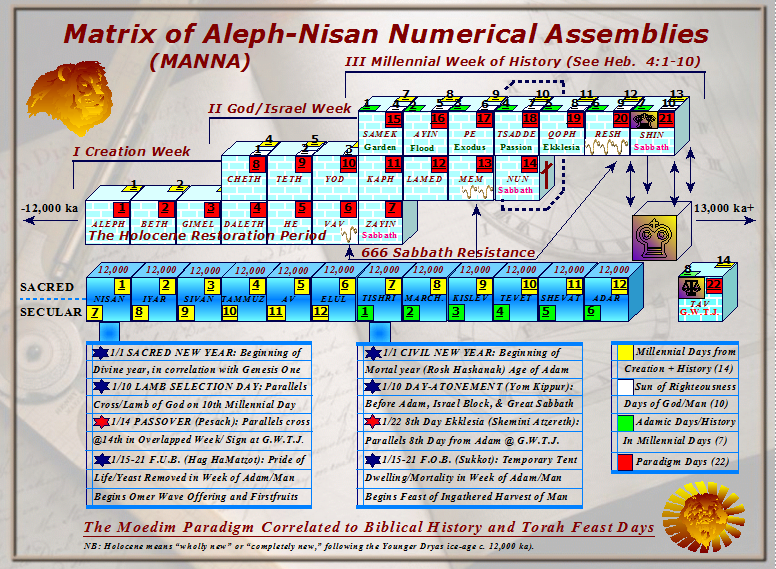 What it all comes down to is learning the “signs of the times” before it is too late and all the mysteries are unveiled in the minds of mankind at the coming of Messiah. God is the reasonable, rational Creator of natural laws, but He is also the “God of the living” and shapes human history with purpose, to complete this current mortal age, and He does so for an everlasting confession of His mercy and grace that has been shown to us. In other words, He has a paradigm all His own that confesses Him, and those who comprehend it find more evidence for the biblical God than they can hope to fully fathom. Learn of these things, if you really want evidences for God. And discern that we need not prove His existence under a materialism construct to those who are already too blind to perceive His brilliant works in the natural world. 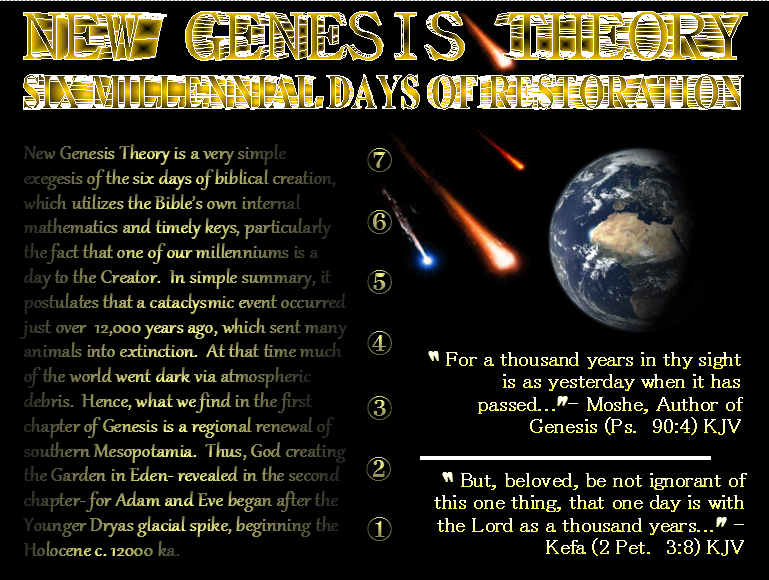 Please see my three correlating Genesis creation theories: New Genesis, ATLAS Genesis, and Prophetic Genesis. They each fit as one within God’s paradigm of appointed times.